Guest Blogging is defined as Accepting Posts from other Bloggers to publish for free on your blog, or writing posts for other Bloggers to publish on their blogs for free (If you are good enough, you can charge some money as well. But then, if you are already good enough to make money with your writing, you won’t be writing on others’ blogs.Here in this post i will explain How Guest Blogging to Promote Your Blog. Guest Blogging is a great way to build your Online Reputation and Drive Traffic to your blog and can be treated as a Traffic-Building and Networking-Tool. This will help in your Blog’s growth and also gives you an opportunity to market your writing skills in Bloggers’ Circuit. 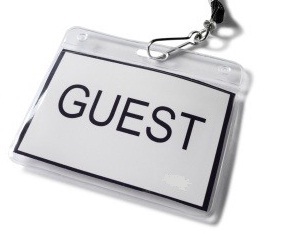 Usually, Guest Bloggers are allowed to have a small brief about them, which appears at the bottom of every Guest Post written by then and people allow Guest Bloggers to have one or two links of theirs. So by doing Guest-Blogging on a mature blog with decent traffic, a novice blogger can get more visibility by virtue of more Backlinks and Hits to his new blog. It also increases your Google PageRank as its pass the PR to your website from the hosting blog. Further, it brings freshness to your blog. All of us have a certain way of writing, and so have the Guest-Bloggers. So with their fresh content, your blog will be queried by search engines with more and more search terms, further boosting your traffic and PageRank.